First published by the National Magazine Co in 1952. As Great British Bake Off fever is sweeping the country again, I thought I might join in by blogging this review of my favourite cookery book, the wonderfully dated Good Housekeeping Cookery Compendium. 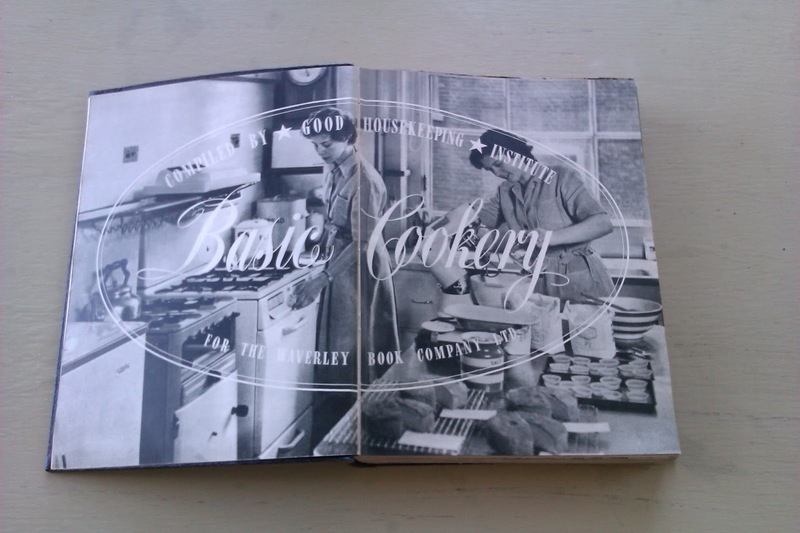 It's a solid, sturdy tome in three sections - Basic Cookery, Picture Cookery and Cake Making - and is illustrated with 2000 mostly black-and-white photographs and sixty-four pages of colour photographs. I love the matter of fact instructions which cover absolutely every dish that the 1950s British housewife might have wanted to serve from the so-obvious-it-doesn't-need-a-recipe to the life's-too-short-for-that-much-faff! I have previously blogged a couple of recipes which originated in this book - Quick Biscuits and a classic Fruit Cake. It was my Mum's go-to recipe book and she made sure that my sister and I both got our own copies too although, now I come to think about it, I'm not sure what happened to Mum's original. 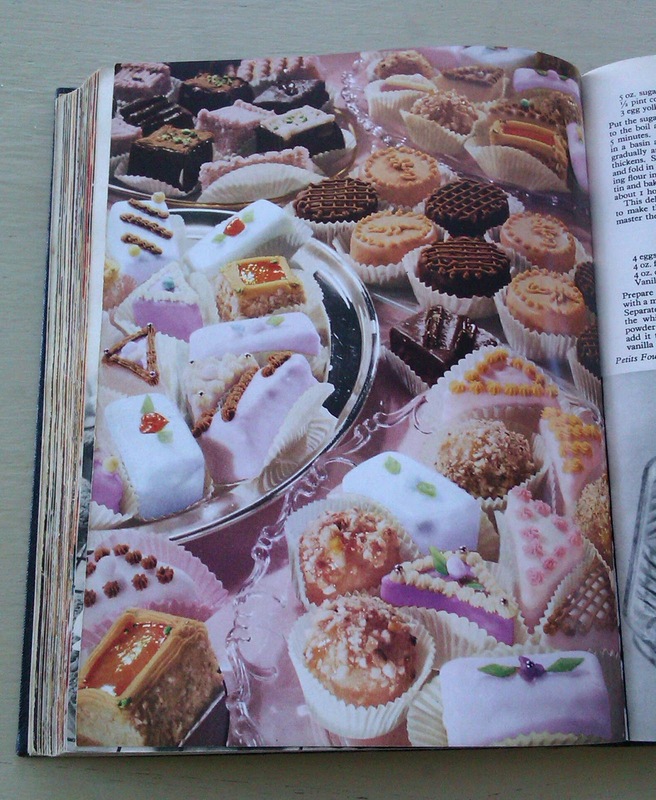 If you're into vintage style, classic British cookery, or even Great British Baking, you need a copy of the Good Housekeeping Cookery Compendium in your kitchen! This week's prize departs from the usual literary theme and is cookery-related instead. You could win a new duo of VonShef silicon baking tools - a pastry brush and a spatula. 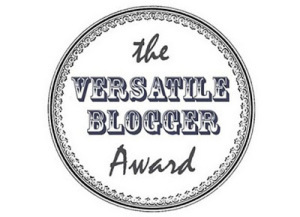 I have also departed from my usual 'just comment' entry method and am trialling the Gleam giveaway widget which allows entries to be counted not only for commenting, but also for tweeting, following Literary Flits and visiting my Facebook page. Hopefully I have set everything up correctly. Let me know how you get on! The Giveaway is open worldwide from noon today until midnight (UK time) on the 7th September. I will be checking that the winning entry did complete whatever task they claim they have before awarding the prize. First published in German as Engel Des Vergessens in 2012. English translation by Tess Lewis published by Archipelago Books today: 30th August 2016. 'The novel tells the story of a family from the Slovenian minority in Austria. The first-person narrator starts off with her childhood memories of rural life, in a community anchored in the past. Yet behind this rural idyll, an unresolved conflict is smouldering. At first, the child wonders about the border to Yugoslavia, which runs not far away from her home. Then gradually the stories that the adults tell at every opportunity start to make sense. All the locals are scarred by the war. Her grandfather, we find out, was a partisan fighting the Nazis from forest hideouts. Her grandmother was arrested and survived Ravensbrück. 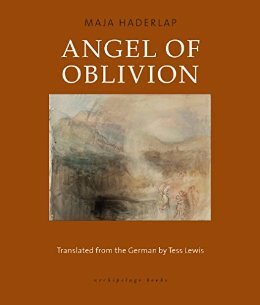 Although Angel Of Oblivion is fiction, it reads so much like memoir that it was difficult for me to separate Haderlap herself from our young narrator. I don't know how close this story is to her actual childhood. The book is not an easy read and I often struggled to follow what passes for its storyline. Both the grandmother and the father are psychologically scarred from their wartime experiences and so we frequently jump around in time as memories of the past are triggered. I was reminded of a French book, Brodeck's Report by Philippe Claudel, which also examines the mental damage of the Second World War on survivors of a community where horrific violence took place. I particularly appreciated Haderlap's poetic writing as she describes the physical appearance of people, farms and the natural world with the isolated valley of our narrator's youth. The destruction and decay of these homes and communities is heartbreaking to read about and, while I don't think Angel Of Oblivion will be a strongly memorable book in itself, I have found myself repeatedly returning to think about one of its strong themes since I have finished reading. The Slovenian community in Austria, fighting and dying as partisans during the war, were on the 'winning side' yet in later years as an ethnic minority in Austria, a country which generally embraced Nazism, they find their experiences and culture suppressed by the majority population who would prefer not to be reminded of this time in their past. 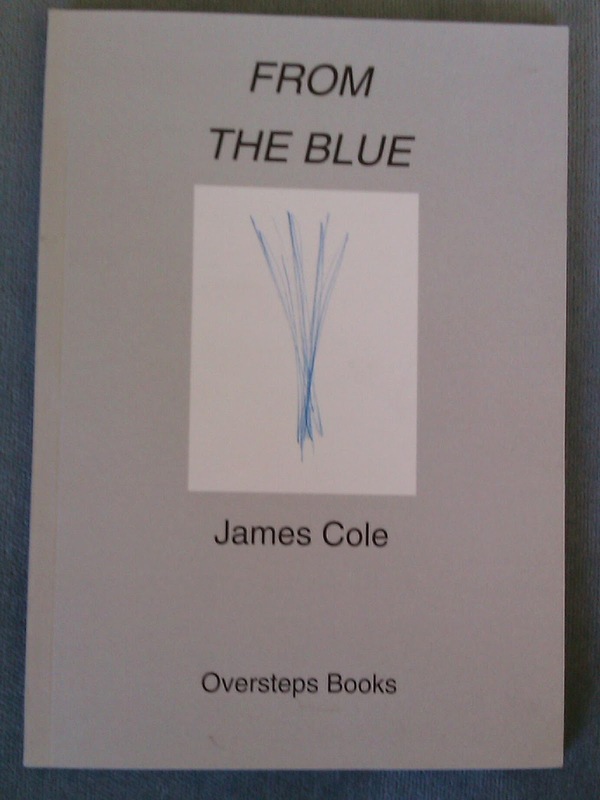 First published by Bloomsbury on the 30th January 2014. I am transferring my Farmageddon review from my other blog, Stephanie Jane, to Literary Flits today to link in with the Animals Are Not Freight protest taking place all over the world. 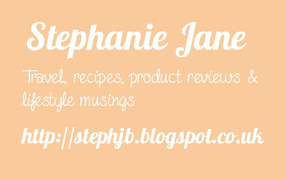 You can find out more about this important day of action in my Stephanie Jane blog post. I have been strongly affected by reading Farmageddon. It is a powerful illustration of the short sighted approach taken to food production since the 1950s. I expected most of the book to cover familiar ground as I thought I had a good grasp of the current situation regarding factory farming in the UK. It turns out that I don't! I was shocked by the degree of illness and disease reported in densely farmed animals. Even farmed salmon, which I buy thinking it is the responsible way to preserve wild stocks, have volumes of lice that are nauseating to consider. I was also amazed to learn about the lack of nutritional value of the resulting meat. Dave and I have noticed our food seeming bland compared to remembered meals in the past, but had assumed it was our tastebuds fading. Apparently this is not the case and the unnaturally speedy growth rates of these animals are the cause. Also, the sheer volume of food and drugs consumed by these animals in their short, unpleasant lives cannot possibly be sustainable, and I don't want my taxes continuing to be spent on subsidising the system. Fortunately, after all the doom and gloom of animal suffering, ludicrous volumes of waste, destroyed land and rivers, there is a strong message of hope and extensive suggestions for how individual consumers can help to make a real difference. And it's not just Go Veggie either! Realistic advice that we plan to follow includes buying smaller quantities of higher welfare meat. I think the price should then be similar overall and the nutritional content will be higher. Meatfree Mondays is another fun idea for which there are numerous recipe suggestions online (from independent sources, not CIWF). With regards to the actual writing, I did wonder if the material had originally been conceived as independent essays or lectures because there is a fair amount of overlap to the themed sections. I normally read books cover to cover within a couple of days, but found the repetition too much in this case. Reading a single section then putting Farmageddon aside for a while before returning to it I think is a better approach. The repetition then feels more like reinforcement! Arguments are well made and examples of practices are given from around the world. Most facts are backed up with notes of their sources, although flipping to the back on a Kindle is tedious so I soon gave that up! 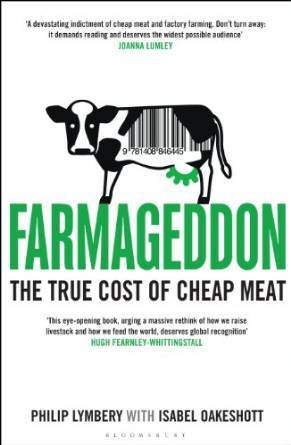 Nonetheless, I would recommend Farmageddon to pretty much everyone as an eye-opening read. Longlisted for the Man Booker Prize 2014 and winner of the 2015 World Fantasy Award. The Bone Clocks is a sweeping epic of a novel, told from multiple viewpoints and covering over half a century in time from 1984 until the 2040s. Everyday events are blended with an overall fantasy good-against-evil arc and several heavy lectures about how mankind is destroying the Earth and our own futures. We first follow young Holly Sykes, a fifteen year old runaway from Gravesend, in a Black Swan Green-like storyline with lots of nostalgic 1980s detail. Holly was easily the most believable of all Mitchell's characters and I enjoyed her segment of the book. The fantasy element introductions here are intriguing, but peripheral. A time jump later we meet privileged Cambridge student Hugo Lamb and are whirled into drunken parties, skiing trips and underhand machinations. We also begin to understand more about the supernatural forces at work. I was still quite happy with The Bone Clocks at this stage, but when we had to spend many pages with jaded fading author Crispin Hershey, I began to lose interest. This segment might be hilariously funny if you're part of the literary in crowd, but I just found it self-indulgent and patronising. It's followed by an anti-Iraq occupation harangue that, to me, read like a synopsis of Imperial Life In The Emerald City and then Mitchell goes all Ben Elton on us in his near-future dystopia where there's No Internet. Scream!!! 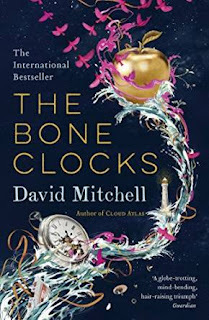 I did read The Bone Clocks all the way through to the end and there were significant parts of it that I thought were brilliant, hence my overall three star rating. I liked the nods to previous Mitchell books such as Black Swan Green and Thousand Autumns Of Jacob De Zoet and caught myself wondering what other nods I might have spotted had I read more Mitchell books - neat marketing ploy! However the storyline rambles around too many Important Issues leaving me feeling distinctly hectored on several occasions and I wasn't convinced by the supernatural thread. All that effort to save four lives a year yet leaving a higher body count in their wake! 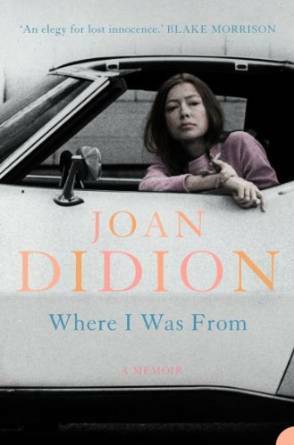 In this moving and surprising book, Joan Didion reassesses parts of her life, her work, her history - and America's. Where I Was From, in Didion's words, "represents an exploration into my own confusions about the place and the way in which I grew up, misapprehensions and misunderstandings so much a part of who I became that I can still to this day confront them only obliquely." 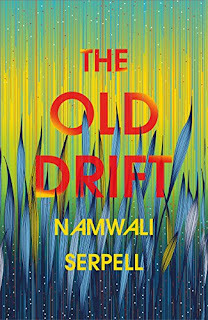 The book is a haunting narrative of how her own family moved west with the frontier from the birth of her great-great-great-great-great-grandmother in Virginia in 1766 to the death of her mother on the edge of the Pacific in 2001; of how the wagon-train stories of hardship and abandonment and endurance created a culture in which survival would seem the sole virtue. Didion examines how the folly and recklessness in the very grain of the California settlement led to the California we know today - a state mortgaged first to the railroad, then to the aerospace industry, and overwhelmingly to the federal government. Joan Didion's unerring sense of America and its spirit, her acute interpretation of its institutions and literature, and her incisive questioning of the stories it tells itself make this fiercely intelligent book a provocative and important tour de force from one of America's greatest writers. My partner, Dave, chose Where I Was From for our Kindle so I didn't read any blurb prior starting the book. I was vaguely expecting an autobiography of a journalist's youth and certainly not the wide ranging evaluation of California that Joan Didion has so eloquently penned. There are elements of her own family history mixed in with every Californian family's history, whether 'original' or recent settlers. We also learn in detail about the political life of the state and I was amazed to realise how much of the economy is, or at least was, based on Government money and Defence contract production lines. There are definite echoes of the collapse of the old British mill towns in the current Californian situation. I have only travelled through this part of the world once - by Amtrak from Los Angeles to Santa Clara to San Francisco, a fortnight in all with a few days in each city - but found Didion's book fascinating even though many of the places are unfamiliar to me. I love the way she has melded her storylines to make every word feel personal. This is very much a book of her struggling to identify and come to terms with her roots and their contradictions. I suspect most of us have a mental image of our home that isn't necessarily truthful about what is really there. Didion has made a brave stand to speak of both the good and the bad of her home state. First published in Turkish in 2003 as İstanbul: Hatıralar ve Şehir. Translated into English by Maureen Freely in 2005. Canongate audiobook edition narrated by John Lee published in 2013. 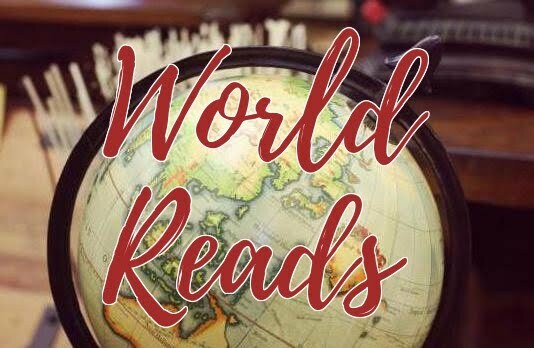 One of my WorldReads from Turkey. This one of the books I planned to read as part of the 2016 TBR Pile Reading Challenge. Istanbul: Memories Of A City wasn't how I expected it to be and I did find myself drifting away from the book at times, although being completely engrossed in other sections. Pamuk jumps from childhood memories to his thoughts on writings by mostly Western authors, to famous Istanbul characters, to the drift of the city over the past couple of centuries from the heights of the Ottoman Empire to relative global obscurity and creeping Westernisation. John Lee is a competent narrator with a good grasp of the various Turkish names. 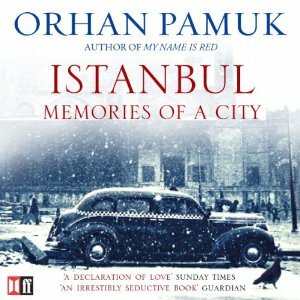 I was surprised at Pamuk's assertions of so much post-Ottoman Istanbul history and life being only written about by Western tourists thereby leaving the city without its own voice. The crushing of minority groups within the traditional multicultural population as the nationalist Republic gained its feet however was depressingly familiar. Pamuk talks a lot about depression, melancholy and the wonderful Turkish word 'huzun' which describes a kind of national melancholy apparently felt across Istanbul as a result of continuously living in the ruins of the former great Empire. It sounds a beautifully romantic concept and I would have loved to have visited Istanbul at the time of the great French writers such as Andre Gide, when evidence of this epic and exotic history was still widespread. I wonder how much does remain now and how much has been irretrievably Westernised and globalised in the names of progress and profit. I thought the anecdotes from Pamuk's childhood provided the most evocative moments of this book and I enjoyed picturing this 1950s and 1960s Istanbul. The importance of the Bosphorus river is clearly illustrated with Pamuk's artist eye picking out obscure details for his readers. At the time of writing, he had lived there for fifty years but also widely read authors who only visited so manages to see and portray Istanbul as both native and outsider providing a unique viewpoint. Published by Knopf on the 12th March 1982. A finalist for the Pulitzer Prize, the American National Book Awards and the Pen/Faulkner Award. I picked up two Anne Tyler paperbacks at Age UK in Stokesley, Yorkshire, as part of a three for 99p promotion. 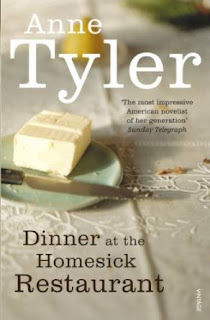 I've read a few Anne Tyler before and found her work ranged from pretty good to fabulous and I am pleased to say that I think Dinner At The Homesick Restaurant is one of her fabulous novels! Set in Baltimore, Dinner At The Homesick Restaurant begins with elderly Pearl remembering her life and family. Initially I felt sorry for her. She was abandoned by her husband and left with three children to raise alone while holding down a job in order to finance her family. However, as we learn more about the past, I began to see that nothing is clear cut at all. I loved how Tyler portrays a non-maternal mother. Pearl loves her children more than anything, but she is not the cope-with-anything mother figure that many novels like to portray. This is a woman struggling to succeed and making mistakes along the way. As her children, Cody, Ezra and Jenny, grow up and move away, the family fragments still further and it was interesting to see how the next generation viewed their grandmother too. I have given this novel five stars because I was engrossed from start to finish. I didn't particularly like most of the characters, but I loved how realistically they have been created and Tyler's deep understanding of the dynamics of family relationships. A great read! I have good memories of my own Amsterdam visit, several years ago now, and appreciated being reminded of the city by Amanda Addison's detailed observations and descriptions. She obviously has a great love for this place which shines through her writing. An Amsterdam Affair is set in dual places - Amsterdam and Great Yarmouth - and in dual time periods - present day and 1980s - and I liked the circular feel to the tale with our leading characters undertaking similar life journeys, a generation apart and under very different circumstances. Addison also explores geographical connections, having her characters remark often on the proximity and comparable landscapes of the Netherlands and Norfolk, and I appreciated the realistic diversity of the characters. 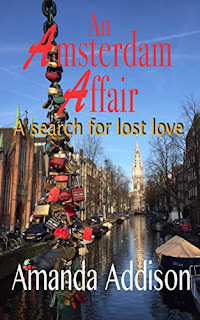 It did take me about a third of the book to be entranced by An Amsterdam Affair. The pace remains gentle throughout and the underlying family mystery isn't highlighted until the later stages. I loved the various portrayals of characters confronting 'what might have been'. Art is the star of the story with frequent name dropping, some of which I recognised, and the emphasis on the visual reminded me of Tracy Farr's novel The Life And Loves Of Lena Gaunt which uses evocations of sound as a focus. My copy of An Amsterdam Affair was sadly let down by wrongly used and missing words that often distracted me from the atmosphere Addison creates, however I am assured that this is now rectified. Regardless it is still a lovely read with an uplifting depiction of family and the potential role of art in overcoming trauma. 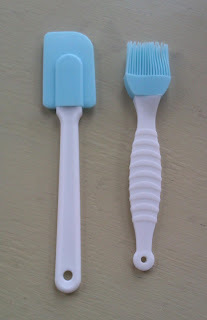 I have a trio of my handmade bookmarks to giveaway simply for answering the following question on this blog post. How easy is that?! Name another book set entirely or partly in Amsterdam? Comment your answer on this post before midnight (UK time) on the 31st of August to be in with a chance of winning. 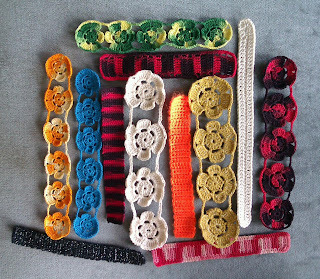 The bookmarks are all hand crocheted by myself and you can see a selection in the photograph above. The winner will be able to choose any three of the bookmarks listed in my Etsy shop. The Giveaway is open worldwide. Answers must be commented by midnight (UK time) on the 31st of August and I will randomly pick a winner on the 1st of September. The winner will be notified by replying to their Comment so if you think you might miss this response please also include other contact info such as your blog URL, twitter name or FB page. If the winner does not respond within 7 days, they will forfeit the prize. First published by Fourth Estate in 1997. Published in America as Fermat's Enigma. I was lucky to hear Simon Singh at an Eastbourne Sceptics In The Pub meeting where he discussed his then new book about the Mathematical Secrets Of The Simpsons. 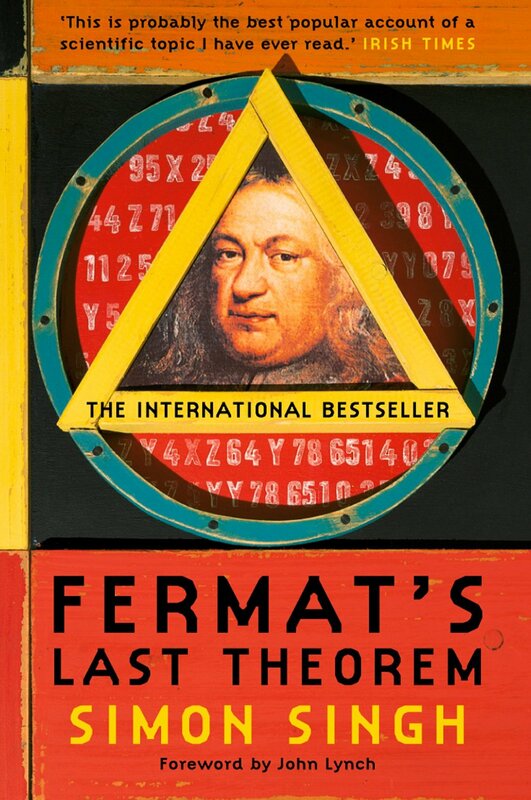 Fermat's Last Theorem was also name-dropped during the evening and it has taken me this long to get to reading it! I was put off by feeling that I would probably be unable to understand any of the actual maths, however was pleasantly surprised to discover that my comprehension didn't fail me until over half-way through and the underlying story can be appreciated even if the algebra is skipped! 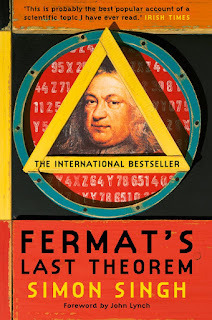 Fermat's Last Theorem tells the story of this most enigmatic equation both through the mathematical history that led to its solution and through small biographies of the men and women who were fascinated by it. I was delighted to see female names, albeit only a few, but I hadn't expected any. Singh has a talent for presenting the human stories behind scientific and, in this case, mathematical achievements and I found myself getting quite caught up in the excitement. For a moment I even wished I had tried harder in maths at school - until the next bout of equations reminded me why I didn't! I think those who are versed in maths will probably get more from this book overall, but it was an interesting read even without full understanding and I appreciated the historical context of each separate discovery, layering up until Andrew Wiles' showstopping moment and beyond. As when I read Sophie's World, I doubt many of the names will remain in my memory for long, but I very much enjoyed Singh's writing and would turn to his books again to guide me though similar subjects. First published in Portuguese in Brazil as Eles Eram Muito Cavalos in 2001. English translation by Anthony Doyle published in 2014 by AmazonCrossing. Winner of the Brazilian National Library’s Machado de Assis Award and the APCA Award for best novel. I hesitate to call There Were Many Horses a novel because this experimental piece of writing doesn't conform to that expected format at all. I think the closest work I have previously read was Joe Fiorito's Rust Is A Form Of Fire although There Were Many Horses spreads its vision across a whole city rather than a single corner, describing Sao Paulo via a multitude of voices. Ruffato writes about a single day by way of sixty-eight vignettes. Some are just a few lines - a horoscope or a weather report. Others, my favourites, extend to several pages of breathless stream-of-consciousness prose which I found an absolute joy to read even though their subject matter is frequently disturbing. People die violently in Sao Paulo. Poverty, drugs, corruption, prostitution and alcoholism are rife and we learn about their victims at first hand. 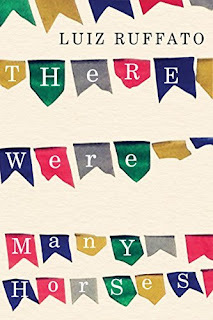 There Are Many Horses begins with a Cecilia Meireles quote "There were so many horses but no one remembers their names" and those words accurately sum up how I was left at the end of the book. Many of Ruffato's people are actually named, but there are so many struggling to cope with such desperate lives that they blend into a flood of humanity. I remember details now, but couldn't tell you which tale was whose and, as a reader, it doesn't matter. What is wonderfully memorable is the frantic metropolitan atmosphere created and the sense almost of having genuinely visited Sao Paulo. On the strength of There Were Many Horses though, it is not somewhere I really want to go! Published by Silver Helm in October 2015. I am thrilled to be taking part in the Steps Of Power blog tour for Kings Or Pawns! 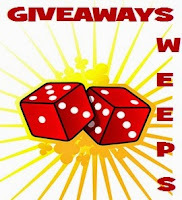 The event is running throughout August and details of all the dozens of blogs taking part are at www.stepsofpower.com - today you can also read about Kings Or Pawns on Flyleaf Chronicles. 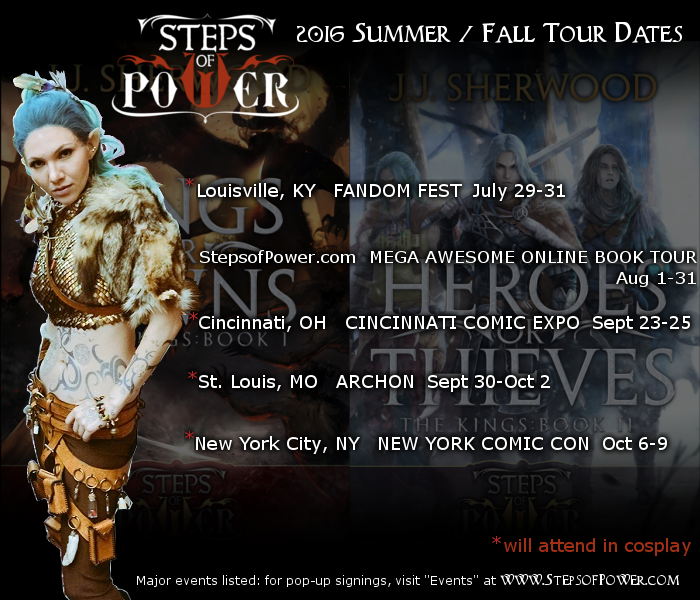 'The first book in JJ Sherwood's Steps of Power epic fantasy series. The Kings, Book I: Kings or Pawns is a political intrigue that spirals into an action and adventure series as the final events unfold. Kings Or Pawns is epic fantasy so there were lots of unfamiliar names to get my head around, both elves and places. I love Sherwood's descriptions of her sumptuous locations in Elvorium, especially when this contrasts with the icebound northern city of Darival. Starring roles in the predominantly male cast are well characterised with elves like new King Hairem and General Jikun being truly fleshed out creations although subject to a surprising volte-face or two as the story progesses. Only two significant characters are female and one of these is mute - I wondered if this was a comment on traditional roles for women in the fantasy genre! Our story takes in murderous political shenanigans, huge battles, supernatural abilities and wielding of the dark arts. I almost thought there was to much crammed in for just one book! The fast pace meant my interest never waned even though I would have liked to spend more time in some situations. We occasionally jumped several weeks in time without me realising which got a tad confusing. However, Sherwood has a fabulous imagination and I was thrilled by scenes such as the Thakish hunt which is wonderfully vivid. 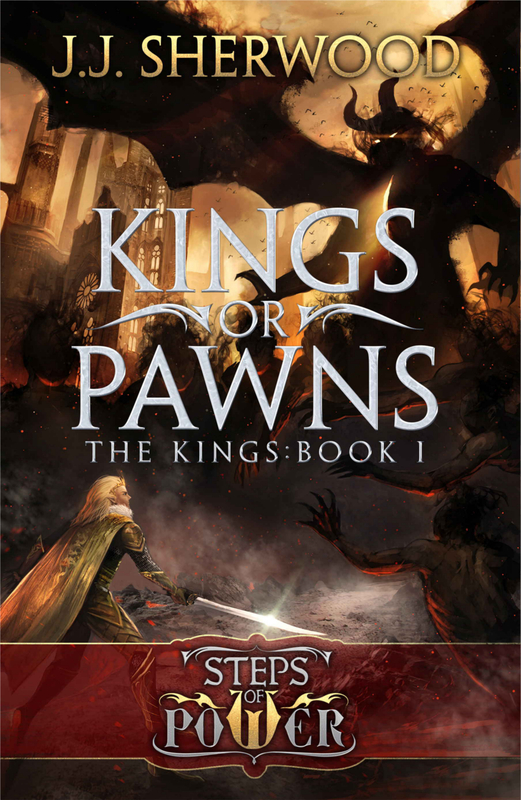 It's difficult for me to say much more about Kings Or Pawns without giving away any of the plotline and I definitely wouldn't want to do that. Suffice to say that it has a satisfy story arc and yet still manages to leave threads open for its sequel (Heroes Or Thieves - available now!). So, you've got this far and I guess you're impatient to enter the Giveaway now? 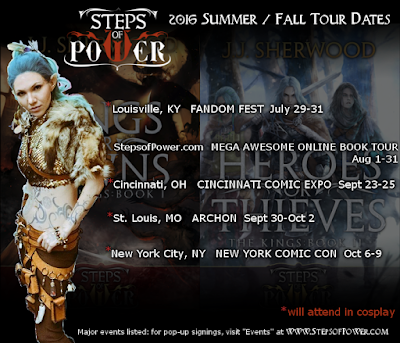 If you're eager for more J J Sherwood, I can secretly whisper to you that there are three fantastic opportunities to meet up with her in person in the very near future. She is visiting Cincinnati Comic Expo, St Louis Archon and New York Comic Con in September and October so don't miss out. There might still be tickets available! Published by Penguin Press in January 2016. Women in Middle Eastern countries aren't often given much of a voice in the European press and media so, when I saw this book by journalist Katherine Zoepf, I was keen to read it. Zoepf spent over a decade meeting and talking to mostly young women across the Middle East, discussing their lives: education prospects, marriage plans, religion, social interactions, and hopes for their futures. Her writing was first published as articles in the New Yorker which results in some repetition across this relatively short book, although I believe the articles have been re-edited with new material added. Excellent Daughters is written for a American audience so, understandably, has a strong Western filter. However, I liked that many of the conversations are reported word for word and, while Zoepf makes observations such as Saudi girls appearing younger in their behaviour than their American counterparts, she doesn't give this negative or positive connotations. 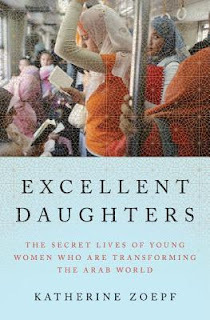 Zoepf discusses how women are opening Islamic schools for girls, allowing them to read, interpret and argue Koranic laws from a female perspective. Others are taking advantage of new employment opportunities and the resultant financial freedom. Most interesting for me though was her conversations with women who, although they would like to change some aspects of their lives, don't want our Western ideas of commercialisation and individuality over community. This survey attempts to portray many changes across a half dozen different countries, each of which has its own ideas of proper behaviour for its women. The country differences in themselves are fascinating, showing the popular Western media's idea of 'how Muslim women live' to be a wild misconception. However, I would have preferred a longer, deeper book, or a narrower subject focus because I often felt that Zoepf was just skimming the surface and there is much more to say. First published in Spanish as A Lupita le gustaba planchar by Casa Del Libros in Mexico in 2015. English translation by Jordi Castells published by AmazonCrossing in 2016. This is my first book for the Goodreads-Bookcrossing Decade Challenge 2016-17. 'Lupita’s hard-knock life has gotten the better of her time and time again. A childhood robbed of innocence set off a chain of events that she still has not managed to control, no matter how hard she tries. Every time she thinks she has a handle on things, unexpected turns make her question everything, including herself. I enjoyed this Mexican take on the dysfunctional detective mystery novel and particularly the way Esquivel slowly reveals the life of our 'heroine', Lupita. A policewoman who witnesses a murder, her alcoholism is described in such knowing detail that I am sure Esquivel must have been close to someone who similarly suffered. At the same time, we explore the economic destruction of Mexico whose only significant industry appears to be drug production to satisfy northern gringo addicts. Against this squalor and despair, hope is ultimately revealed through revisiting the mysticism of ancient Mexico and I appreciated the factual asides briefly explaining aspects of Aztec deities and rituals. The dual storylines make for a surprisingly rich novella. I liked the structure of beginning chapters with 'Lupita Liked ...' and using these character insights to advance the story. I felt I completely understood her and certainly could empathise with her struggles to heal both herself and her country. 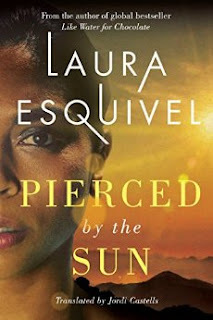 As a novella though, Pierced By The Sun does fall somewhat between two stools. I didn't experience the same degree of mysticism as I have in longer Latin American works, and it's not a standard fit for the crime genre either. I wonder if this is the cause of the truly awful reviews I found of the book? I was nearly put off reading it altogether, but am glad I did so because I was impressed by Esquivel's unique voice. This Radio Diaries programme provides a concise overview of the apartheid years in South Africa. 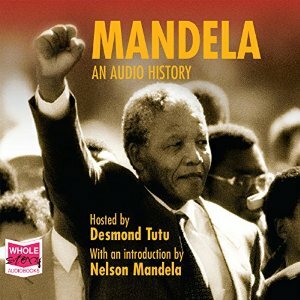 It lasts one hour fifteen minutes and and includes iconic moments such as an original recording of Mandela's 'Prepared to die' statement at the conclusion of his trial speech. Snippets of African protest songs link other recordings of news broadcasts and interview segments. I found the audiobook interesting to hear and felt that this would have been a suitable introduction to the other South Africa history book I recently read, The Road To Soweto. However I was disappointed that there wasn't more to it. If this really is 'one of the most comprehensive oral histories of apartheid' I am left wondering how many others have been produced. Having now lived in Torquay for a few weeks, I am interested to discover the local arts and culture scene so was very pleased to spot this slim volume of poetry in the OXFAM bookshop. James Cole's inspiration by the seasons and natural landscapes of Devon shines through many of his poems and I can completely understand his love for this area. Poems such as Caliburn and Out To Sea seem to demonstrate a real yearning and I loved the simple yet vivid imagery of Horses and The End Of The Day. Other poems I found a little heavy-handed and I wasn't sure about the order in which they appear. I struggled to maintain a sense of atmosphere as we jumped around in time. From The Blue does have a strong sense of location and I also felt a loneliness to the work. Poems do say 'we' for their narrator, but human influence is absent from the natural spaces leaving me easily imagining the poet in these wild places alone. I have my paperback copy of From The Blue to giveaway simply for answering the following question on this blog post. How easy is that?! Name another poetry book you have enjoyed? Comment your answer on this post before midnight (UK time) on the 24th of August to be in with a chance of winning. This paperback book is my copy so not new, but still in very good condition. The book has been registered on Bookcrossing and you are welcome to add your stage of its journey or ignore the label as you prefer. The Giveaway is open worldwide. Answers must be commented by midnight (UK time) on the 24th August and I will randomly pick a winner on the 25th. The winner will be notified by replying to their Comment so if you think you might miss this response please also include other contact info such as your blog URL, twitter name or FB page. If the winner does not respond within 7 days, they will forfeit the prize. Stories written by Peter A Smalley, Katy O'Dowd, Robert Harkess and Virginia Marybury. 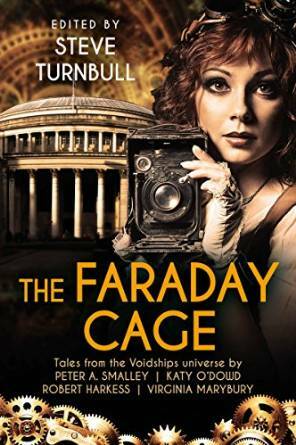 The Faraday Cage is a collection of five short stories all set in Turnbull's Voidships steampunk universe and each written by a different author. I believe Turnbull originally envisaged his creation as a place for collaborative writing, but I think The Faraday Cage is the first publication with multiple authors. I am already familiar with the setting having read Turnbull's first two Maliha Anderson mysteries, Murder Out Of The Blue and Blood Sky At Night, however previous knowledge isn't needed in order to understand and enjoy The Faraday Cage so starting with this collection would be just as good an introduction to the Voidships world. The five stories are The Haemophage by Robert Harkness, Taking The Cure by Peter A Smalley, The Iron Curtain by Virginia Marybury, Dear Prudence Katy O'Dowd with Steve Turnbull, and The Computationer by Steve Turnbull. I loved that they cover such a wide range of situations and locations, each interestingly described and well-evoked within short story limitations. Harkness's mining voidship in outer space is a claustrophobic and intimidating murder mystery whereas The Iron Curtain shows us extravagant luxury in pre-Revolutionary Russia. Taking The Cure flies us to the moon and back - well, hopefully we will get back! - then romance Dear Prudence pits a newspaper agony aunt against the family of her beloved, a wealthy heir met by pure chance, before we see then-small town Perth, Australia through the eyes of The Computationer. This is a well-balanced collection which I think has something rewarding to offer most readers. The stories are nicely observed, atmospheric and entertaining and I appreciated the title page illustrations, drawn by Maria Oglesby, which beautifully set the scene for each tale. 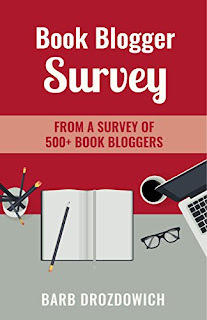 I was surprised to receive a copy of Barb Drozdowich's new book, the Book Blogger Survey, because I had completely forgotten about taking part in the survey several months ago! She asked a range of insightful questions which over 500 of us book bloggers responded to and I found the gathered information to be fascinating. Admittedly I am a closet statistician! Drozdowich primarily analyses responses by bloggers' gender and nationality, by the genre of books they blog about, and by the length of time they have been blogging. Many results were counter intuitive so I think this analysis would be incredibly helpful not only for agents and marketers wanting to tap into blogger networks, but also for existing and potential book bloggers wondering 'is this just me?' Certainly I was relieved and reassured to see my experiences reflected by other book bloggers and I enjoyed reading through the extensive free-form answers to open questions, all of which are reproduced in appendices after the analysis. 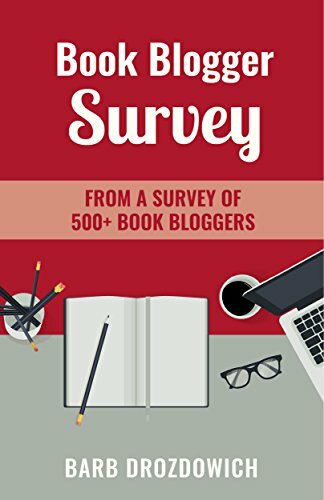 I found the Book Blogger Survey very interesting and would recommend it as being well worth its 99p price tag. Published in 2004. Second of a trilogy after Plainsong and before Benediction. 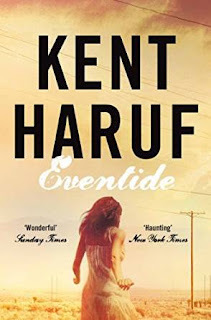 I've been saving Eventide, the second book in Kent Haruf's trilogy, because the first, Plainsong, was just so brilliant that I didn't want the series to be over too soon! In Eventide, we return to the same town of Holt, Colorado, and a few of the same people - Victoria is still with the McPheron brothers - and we meet other residents including special needs couple Luther and Betty who, mentally, are barely more than children themselves yet have children of their own too. There are amazing moments in Eventide. The McPheron's loss nearly brought tears to my eyes and I was also moved by Luther and Betty, especially their reactions to Betty's uncle. I don't want to say more and give away plotlines! Haruf's portrayal of small town America is very different from what we are usually shown on TV shows and in mainstream fiction. His sensitive depictions are especially hard-hitting because of his matter of fact prose style. There is no sensationalism or blatant plot devices, no artificial cliff hangers, simply very human people living through the trials of everyday life. 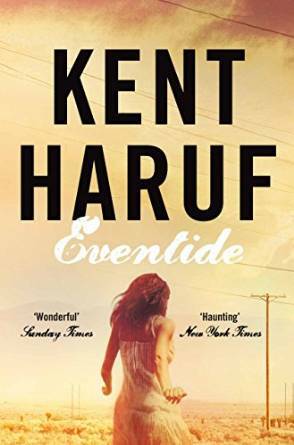 Like Anne Tyler's Dinner At The Homesick Restaurant, which I read just before Eventide, the strength of this work is in its sharp observations and complete understanding of human nature. Haruf's society is kind, honest, generous, hopeful, violent, selfish and weary. This was easily a five star read and I was sorry to finish it as I could have spent much longer in this company. Fortunately I still have Benediction on our Kindle to look forward to. First published in April 1938 by Secker And Warburg. CSA Word audiobook narrated by Jeremy Northam published in July 2011. This is my 1930s book for the 2015-16 Goodreads-Bookcrossing Decade Challenge which I have now completed. 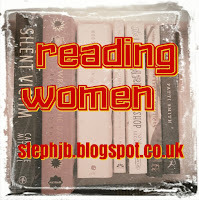 I have listed all my Decade Challenge reads at the end of this post after the book review. 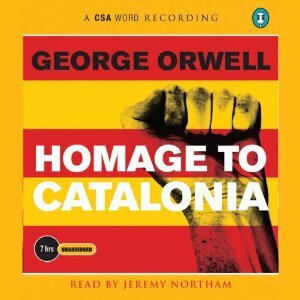 'Homage to Catalonia is George Orwell's account of his experiences fighting in the Spanish Civil War, and a portrait of disillusionment with his early politics. Orwell's experiences include being shot in the neck by a sniper, and being forced into hiding as factions of the Left battled on the streets of Barcelona. Orwell entered Spain intending to gather an experience worth writing about, as well as to fight Fascism, and wrote Homage to Catalonia within months of his return. His honesty and bitterness make for an unparalleled account of his journey from belief and enthusiasm to a reluctant loss of ideals. I first listened to Homage To Catalonia in 2011 and chose to hear it again now mainly because I needed a 1930s book by the end of August to complete the Decade Challenge! 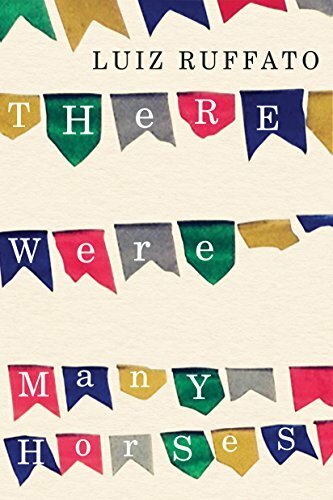 The memoir is very much an account of the limited aspects of the Spanish Civil War that Orwell himself witnessed and, as such, I found I still don't really have much understanding of the many factions involved, the outbreak of acronyms and the full storyline of the conflict. This was a war with numerous armies fighting each other, not a simple 'people against fascism' as it is often portrayed. I was interested to learn that Orwell himself had little idea of the full politics when he first enlisted to fight, a naivete which nearly led to his arrest later on. Jeremy Northam does an excellent job of the narration and his cultured tones suit the rather formal 1930s English language. Orwell has a minimalist writing style and comes across as an honest and earnest man, but I did often struggle to maintain my interest as parts of the book are quite dry. My having spent part of the last two winters in Catalonia was useful as I could easily envisage the landscapes and towns Orwell describes and I remembered seeing plaques and monuments commemorating some battles and events he mentions. I was saddened to realise that the fascist political ideas discussed in this book are rising again across Europe now, nearly eighty years later. And I saw the same 'Trotskyist' accusation as was leveled at the POUM and Orwell in the 1930s rolled out in a bout of name-calling against Jeremy Corbyn just last week. Plus ca change, plus ca meme chose! The idea of the Goodreads-Bookcrossing Decade Challenge is to read one book from each decade from 1900 to the present day. This is the second year I have completed the challenge and I find it a great way to expand my book choices. 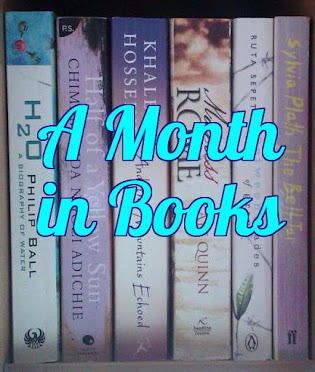 You can see a list of last year's books here and of this year's books below. 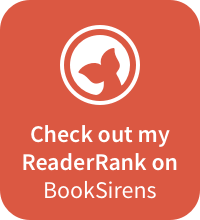 The titles are linked to my reviews either on Literary Flits or Stephanie Jane. First published by Viking in September 2012. Winner of the Biography/Autobiography of the Year at the Specsavers National Book Awards 2012. Clare Balding was on TV a lot at the time I listened to this book because she was presenting the Commonwealth Games. I hadn’t considered that, but it was certainly an apt time to experience her book. I like Clare as a presenter because she is knowledgeable and comes across as a strong role model - no reliance on simpering or cleavage from her! However, I knew very little about her life before she began presenting mainstream sport. I had no idea she had been such a successful jockey for a time, nor that her family is so steeped in the world of horseracing. Although this is very much a book about that world, I was pleased that I didn’t need to be a fan in order to understand it. 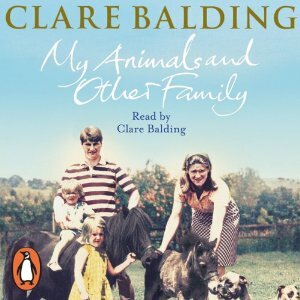 While the result of a privileged upbringing, Clare is very down to earth about her childhood and adolescent experiences. I particularly liked that she doesn’t shirk from revealing actions that show her in a bad light as well as times when she shone. Her dawning awareness of the constant misogyny around her makes for an interesting theme and I am grateful that my teenage weight battles weren’t made such a stark focus as Clare’s were. At one point Clare mentions that she enjoys listening to audiobooks and I believe this comes through in her narration as, not only is her story well written, but she does a great job of telling it too. Published by Virago in April 2013. Hachette audiobook edition published at the same time. 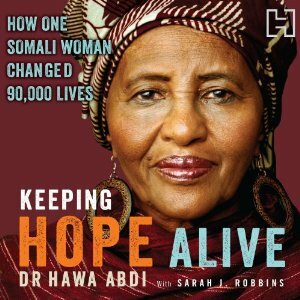 Dr Abdi's book, written with Sarah Robbins and read by Robin Miles, is the life story of a Somalian woman of amazing determination, strength of mind and self-belief. Dr Hawa Abdi managed to go to Ukraine to train as her country's first female doctor. Choosing to return to her beloved Somalia as soon as she qualified, she stood against traditional misogyny to found a clinic for women which became a hospital and, as civil war swept through Somalia, a home for up to 90,000 displaced people. Her story is an almost unbelievable struggle to keep her hospital, her refugee camp and her own family safe through decades of civil war in Somalia. I loved this book! If you think you are having a bad day, the Abdi family's trials are a sharp reality check and this woman truly deserves the moniker of inspirational. Published in 2012. Bolinda audiobook edition published in June 2012. 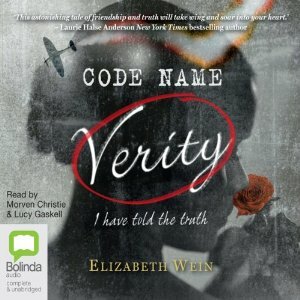 I enjoyed Code Name Verity far more than I expected to, even eagerly anticipating my commutes TO work as much as those from, just so I could listen to the next 45 minutes of the story! I was a little uncertain when the story switches viewpoints in the middle as I felt it had come to a natural close. However, within a few minutes we were swooping off again, surely much like being in Dympna's Puss Moth! The characters are great and brilliantly narrated by Morven Christie and Lucy Gaskell in the Bolinda audio version I heard. I loved the twisting plot which has its very dark moments, but is a joy as it begins to unravel, and Elizabeth Wein does a great job of making her locations both real and atmospheric. At the end, Wein herself talked briefly about her inspirations and research and, believe me, that research shows through in the authenticity of her tale. Code Name Verity is feminist historical fiction that manages to entertain and inform without preaching or being dry. Highly recommended to younger and older adult listeners/readers. 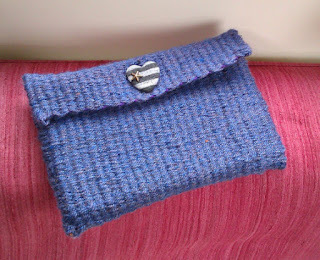 I have my this pretty hand woven book sleeve to giveaway simply for answering the following question on this blog post. How easy is that?! Name another novel of women at war? Comment your answer on this post before midnight (UK time) on the 17th of August to be in with a chance of winning. And while you wait to find out who's the lucky recipient, why not take a look through my other handmade wares listed in my Etsy shop?! Hand-woven by me from a blue and grey toned acrylic yarn. I love the depth created by the colours and the extra interest provided by occasional orange and white flecks in this yarn. The covered warp threads are purple acrylic yarn which can just be glimpsed on the top edges and this Sleeve features a reclaimed striped fabric-covered heart button. The Sleeve when closed measures 5 inches / 13 cm across and 7.55 inches / 19 cm from top to bottom. For illustration purposes only, it is shown snugly enclosing a 11 cm by 18 cm book with 222 pages. Book Sleeves are designed to protect your current paperback book from damage while you are not reading. They are great for travellers, commuters or shoppers - anytime you need to stash that can't-put-it-down book into a larger suitcase, tote bag or briefcase and don't want to discover dog-eared corners and creased covers later on! The Book Sleeves will fit standard sized paperback books, but can of course also be used for appropriately sized tablets, journals or simply to keep knick-knacks safely corralled. The Giveaway is open worldwide. Answers must be commented by midnight (UK time) on the 17th August and I will randomly pick a winner on the 18th. The winner will be notified by replying to their Comment so if you think you might miss this response please also include other contact info such as your blog URL, twitter name or FB page. If the winner does not respond within 7 days, they will forfeit the prize.